Every stage of your school business career has different challenges, and Illinois ASBO is here to help you every step of the way. Whether you are looking to get into the profession, at your first job and trying to keep track of it all, transitioning in or out of a district or dealing with ever with ever-changing standards, laws and state funding, we’ve got resources to help! Want to know more about the challenges and rewards of a career in school business management? 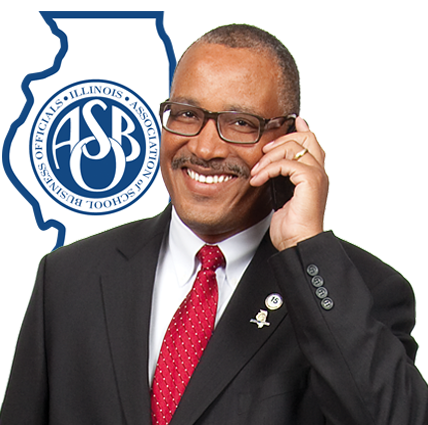 Hear the story of John A. Gibson, Ed.D., CSBO, Chief School Business Official at Homewood SD 153, as he shares why he loves giving back to his community and how networking with Illinois ASBO is pivotal to any school business official's success. Learn about programs and scholarships to help you pursue a career in school business management. Whether starting on the right foot at a new district, or managing a tricky transition, find resources for every turn. Illinois ASBO resources can help you promote your value, guide your evaluation process and more! See what resources are available to bolster your career. Search for your next position in the field of school business management. See a recommended path of programs and professional development for every stage in your career. Whether it is your first day on the job, you are transitioning out of a district or you are in danger of a career crisis - there are resources here to support you in every crossroad. See key elements that are worthy of consideration within a school business contract. Illinois ASBO has partnered with Northern Illinois University, Southern Illinois University and Concordia University Chicago to further your school business education. Find Illinois ASBO members are ready and willing to assist your district through mentoring relationships.